When someone you love is dealing with an addiction, having to stand by and watch can be one of the most painful things a human being can experience. You don’t have the power to stop the addiction with sheer force of will because no one can effectively treat an addiction for the addict. The substance abuser in your family has to make their own decision and they have to take their own steps toward the ultimate goal of sobriety. However, just because you can’t “fix” the addiction for the person you love, you do have a vital role to play. You can be part of the support system that they need. You can offer emotional backing for each part of the treatment and recovery process. One function you may end up performing is that of a researcher. When people decide it is time for treatment, that treatment needs to begin immediately. The decision to quit is a terribly important one to make, but it is also a difficult one to maintain due to the draw of the addiction. 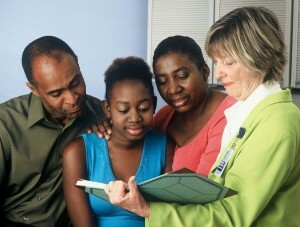 As a family member, you can begin researching treatment options before your loved one desires to seek treatment. That way, everything is in place when the decision is made and the process can start as soon as possible. If your family member is abusing opioids, medication-assisted treatment may be the best option for dealing with their addiction. For additional information regarding medication-assisted treatment, get in touch with SuboxoneDrugRehabs.com at 877-631-0460 and speak with someone who can offer references and resources. Suboxone can be administered in a doctor’s office, instead of at a treatment center, providing patients with more privacy. Treatment with medication is often the best choice and the research that you do for your loved one will support this. Medication allows an addict to regain stability, without the highs and lows associated with drug use. It reduces withdrawal and cravings, letting your loved one give their complete focus to treatment. Keep in mind that the medication for addiction is not like medication for diabetes or heart disease. It isn’t substituting one addictive substance for another. When used with the oversight of a medical professional, medication will not begin a new addiction. Suboxone is a combination of buprenorphine and naloxone that takes the form of sublingual film to take under the tongue or a pill. Plus, suboxone is prescribed by a doctor and can be administered in private without having to enter a treatment center. For some treatment choices, it is the best option. For the health of your family member, it is time to look into suboxone and the role it can play in the treatment of your loved one’s addiction. For more information, contact SuboxoneDrugRehabs.com at 877-631-0460 and speak with someone today.